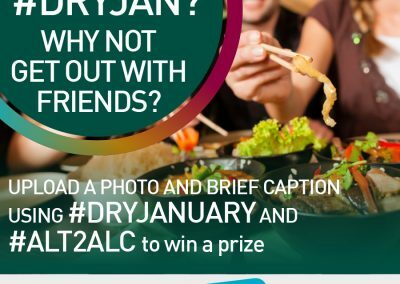 Taking part in Dry January? 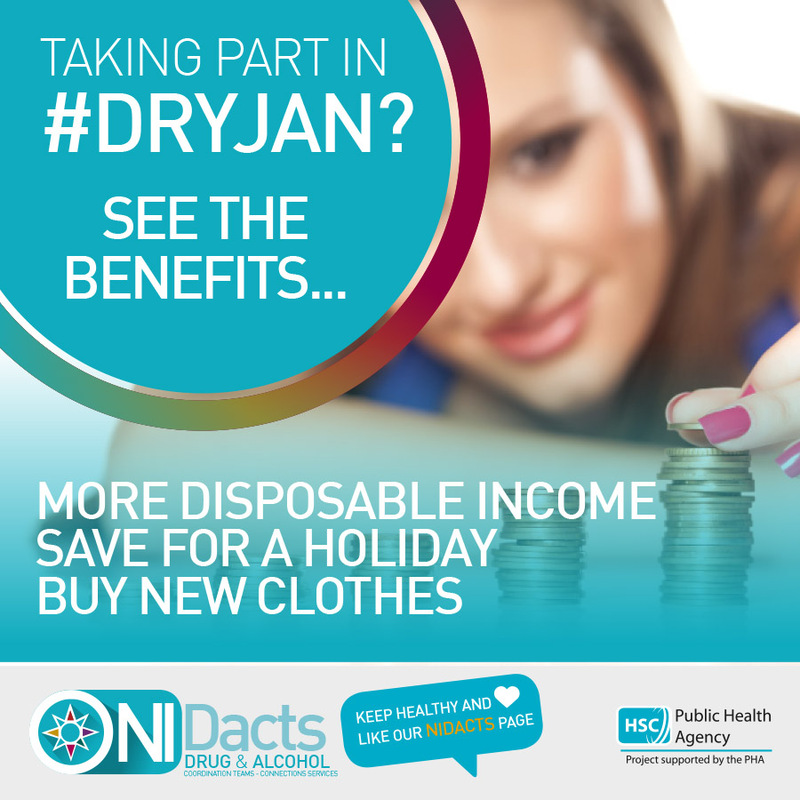 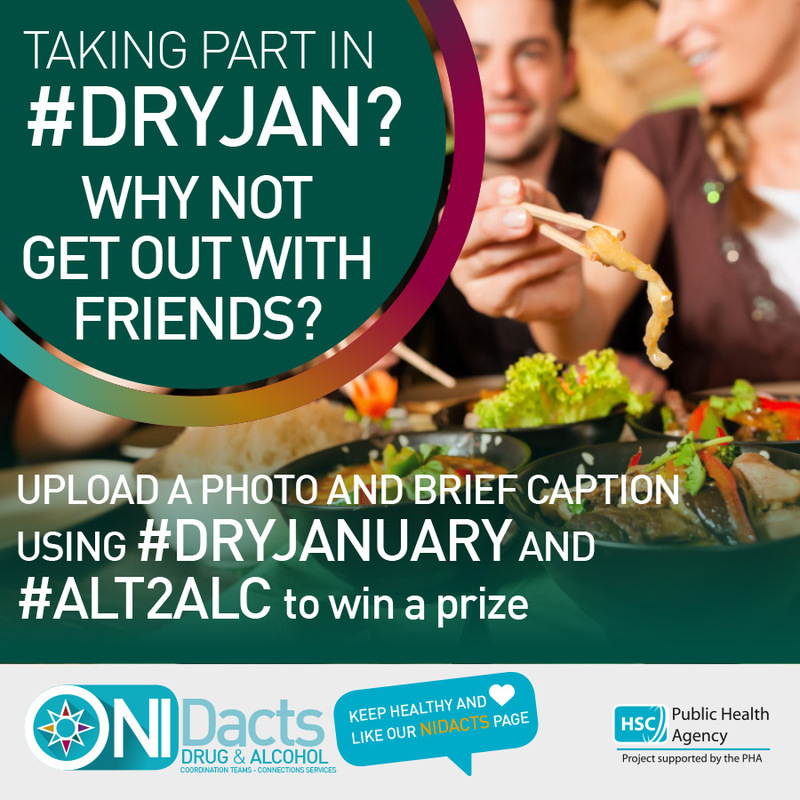 We start the year off with a great incentive to get healthier about how we consume alcohol. 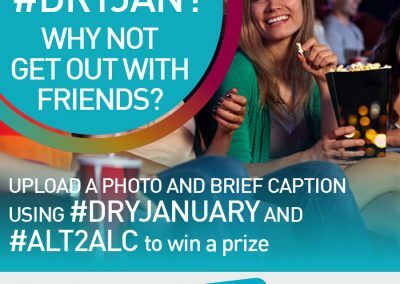 We have created a series of adverts to highlight an alternative to alcohol for 2016. 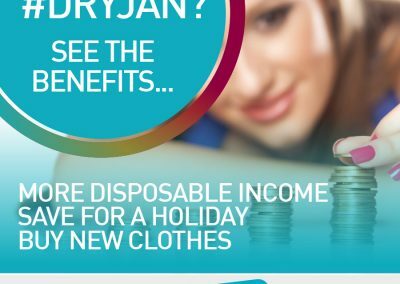 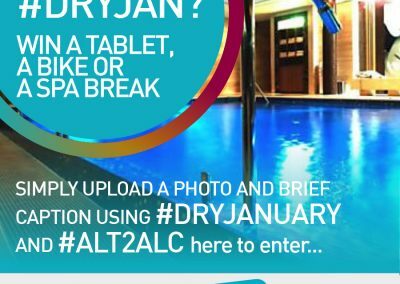 It features a competition to win a bike, spa break or tablet. 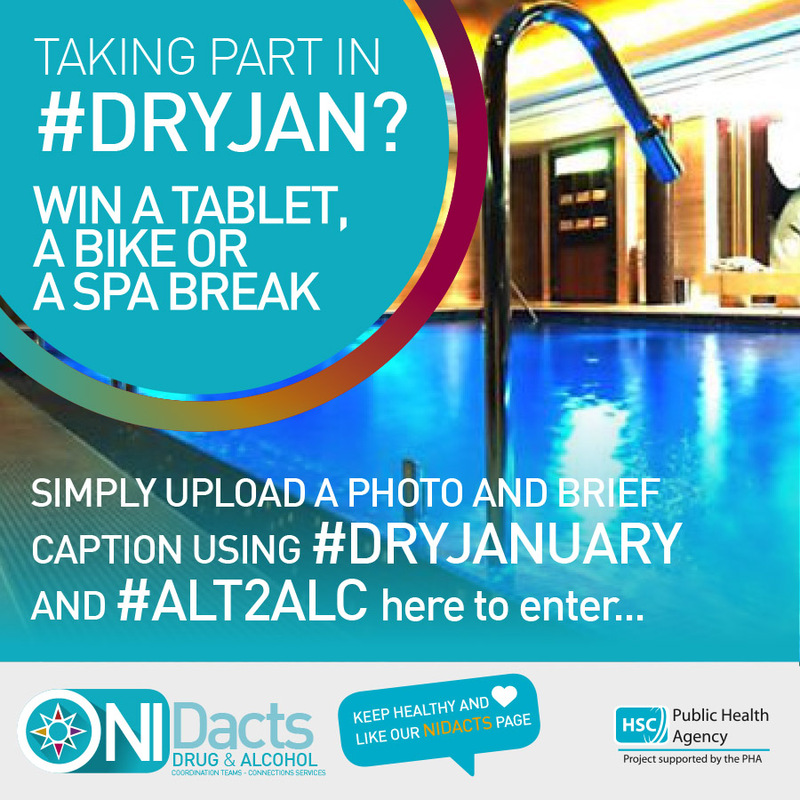 Each DACT will participate in the competition and provide a prize for their locality. 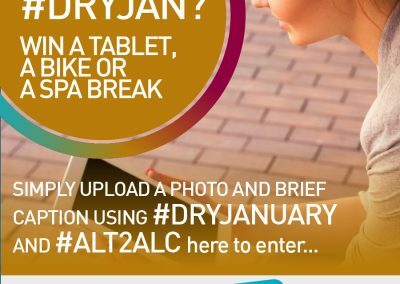 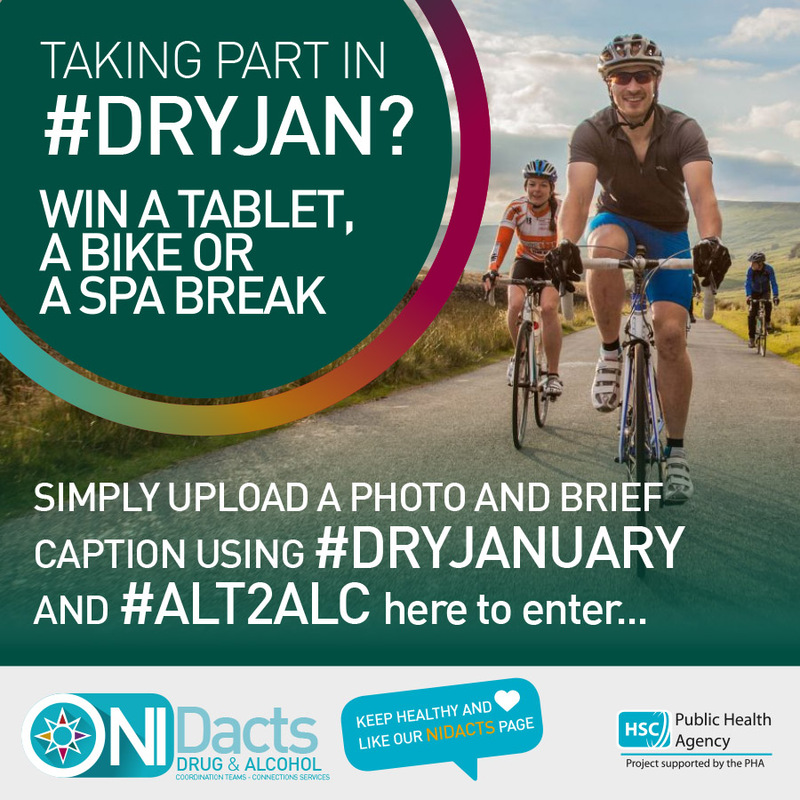 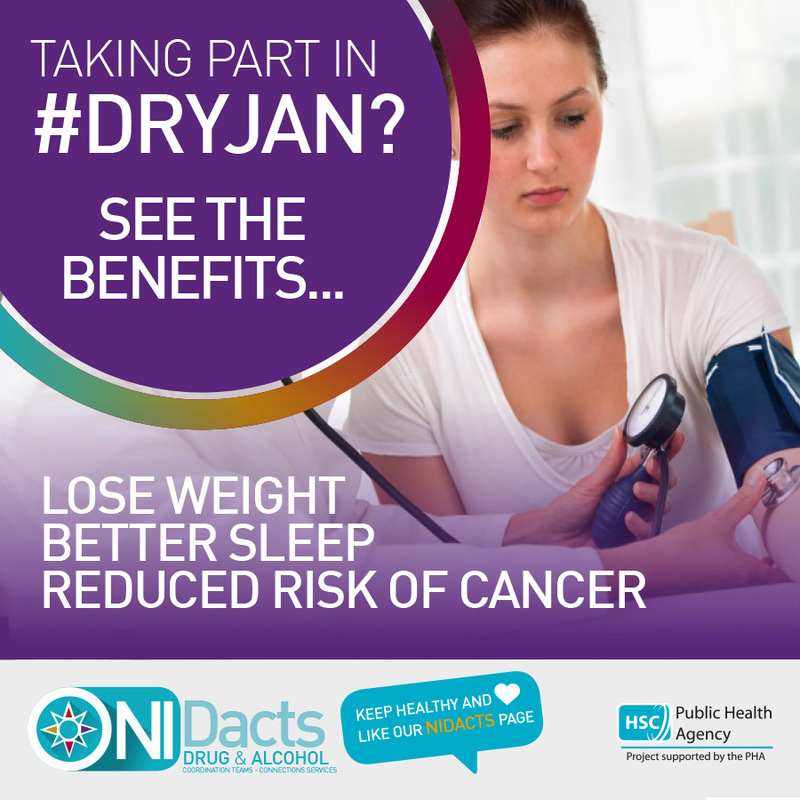 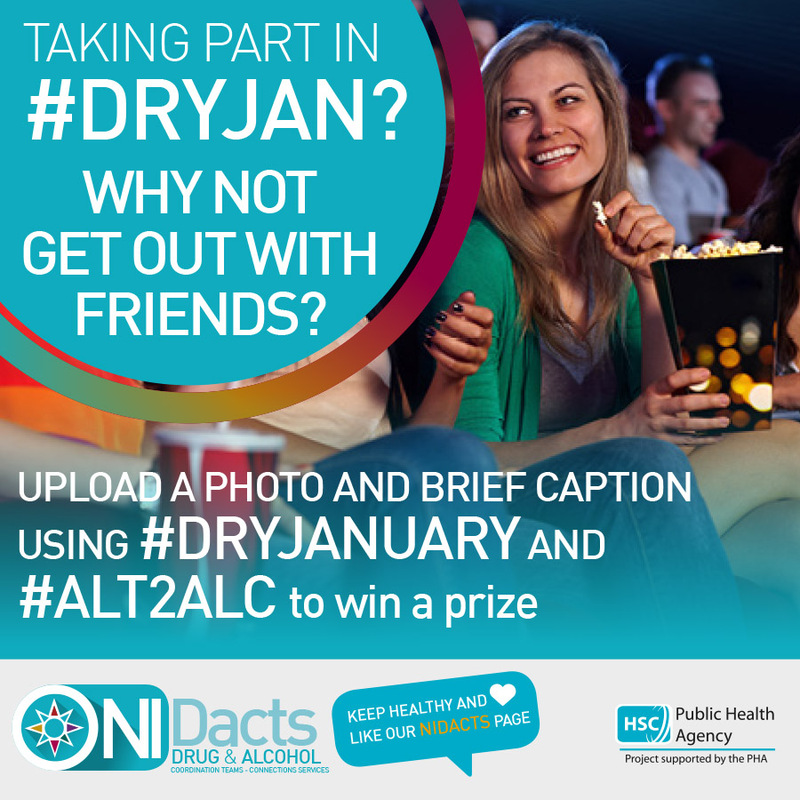 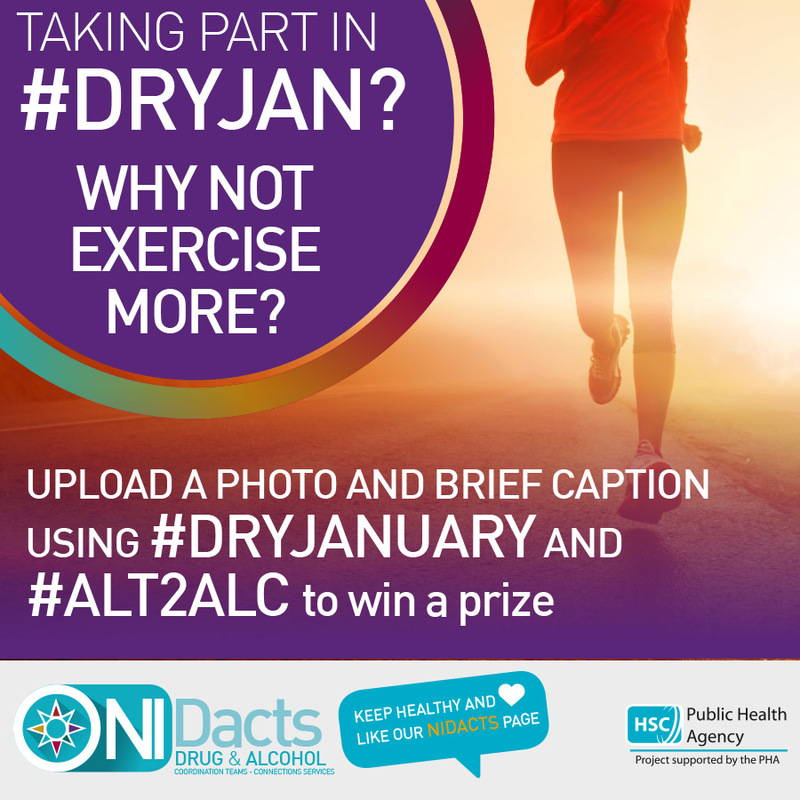 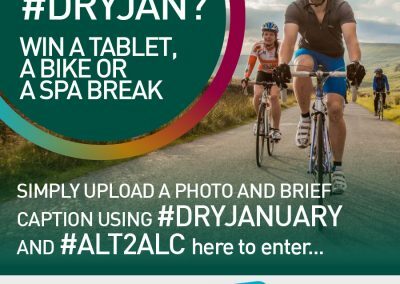 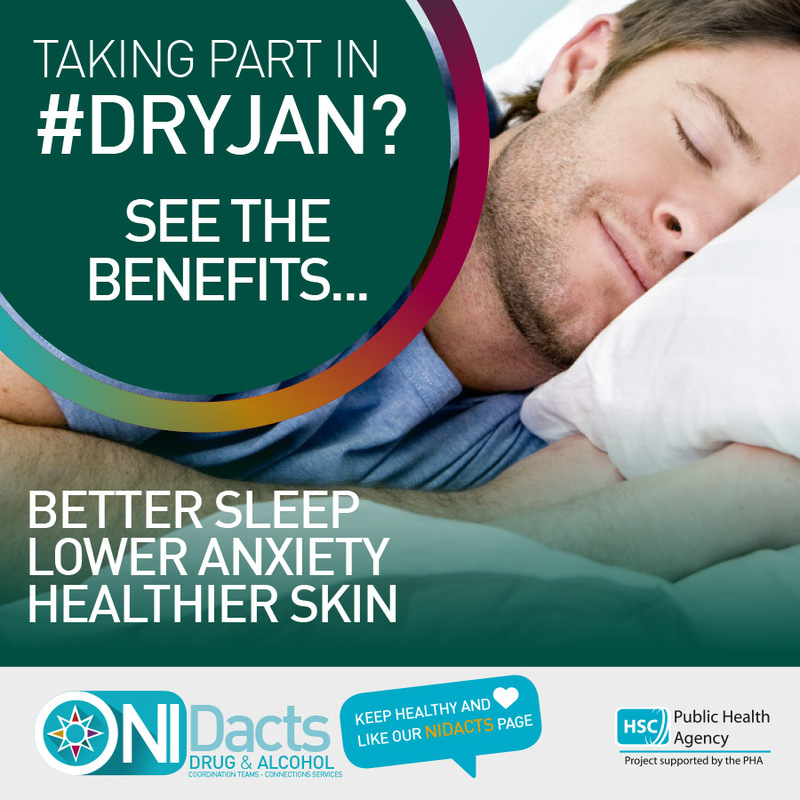 Simply upload a photo and brief caption using#DryJanuary and #Alt2Alc to our Twitter or Facebook accounts [NIDACTS] showing us how you are treating yourself (and therefore treating yourself better) by giving your body and mind a break from alcohol. 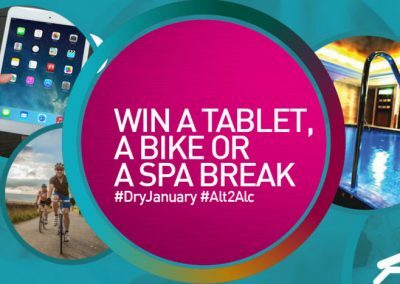 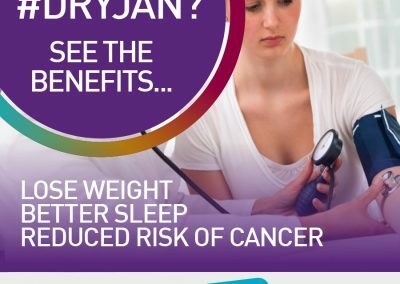 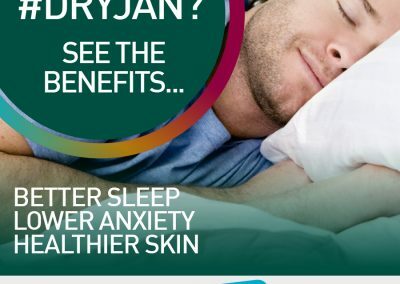 Five winning entries (one per Health and Social Care Trust area) will be chosen in early February and you’ll then be given the choice of claiming one of the three great prizes (max. 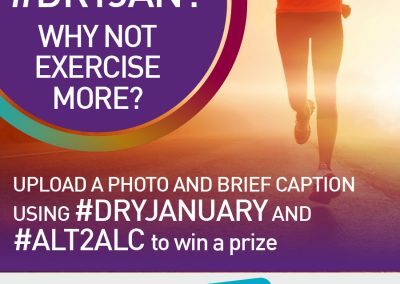 value of £250 per prize) mentioned above. 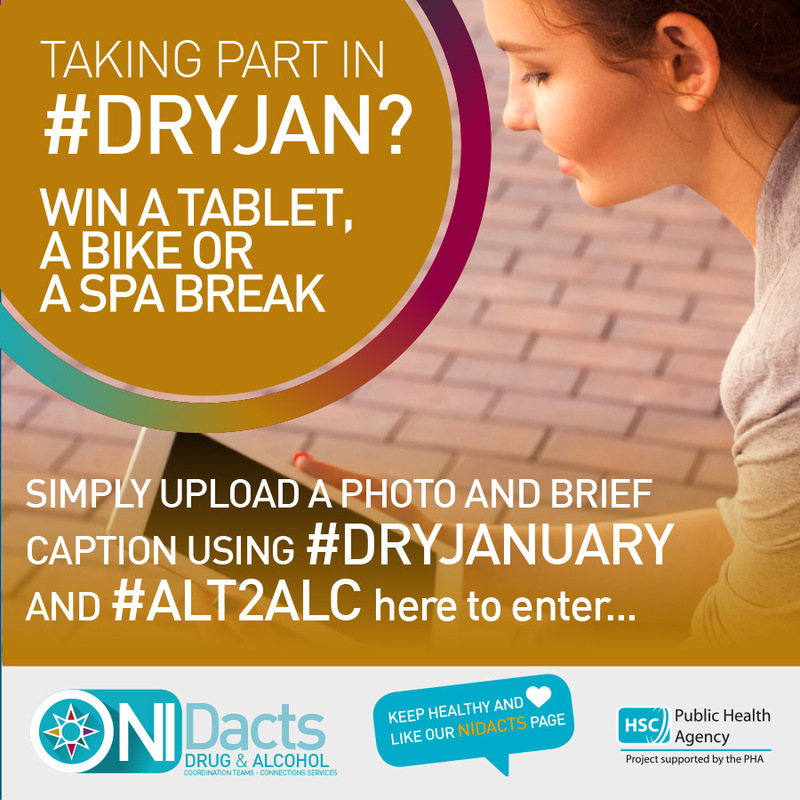 You must be 18+ and a NI resident to enter.